The learning process of a freelance contract designer becoming a member of the UX team at Top Fortune company. Switching from the habit of being a freelance app designer and competitor to be part of a company’s full-time UX team with a much more complex standards and work methods became an exciting experience for me. In the past, designing fast was part a habit. My teammates and I in my past company were able to design a complete screen flow of an application in just 1-2 week. Participating in Topcoder challenges, designing Topcoder challenge app screens took 3 days as can be seen in LUX challenge. Even in a onsite RUX challenge, designing an app screen UI only took 1 hour. With my current team, the process of producing multiple screens in one feature only, can take up to weeks or even months. I used to feel successful when I produced high-quality screen as well as possible in the shortest time. With my own flow and layout. It’s all about assuming and thinking as a user. Appreciation or comments from client or Boss that says “you’re fast!” is enough for me to make me satisfied with what I do. 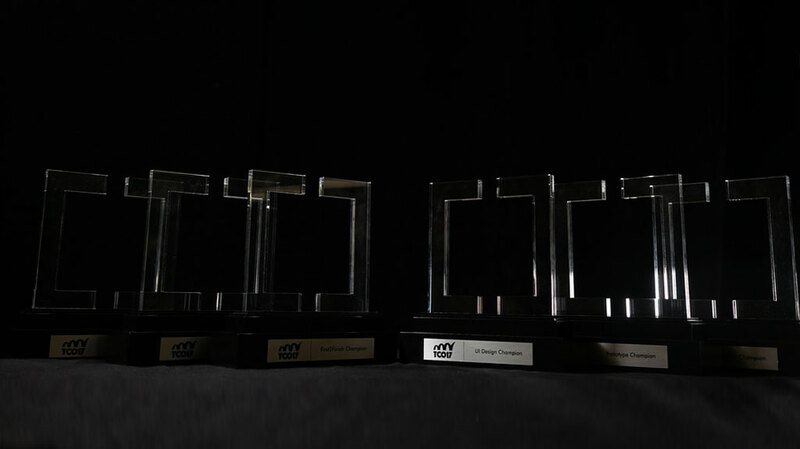 Especially when my ability has an impact on achievement in TCO16 Regional and Final in Washington DC. It increases the belief that fast designing is a skill that needs to be sharpened continuously. I had an unexpected opportunity to be part of the UX team at a Topcoder sponsor company and the offer came from the client who works as the manager on a team at GE Transportation. Since then, approximately 4 months ago, until now I am officially part of the UX GE Transportation team as a remote worker. It turns out that the parameters of my success to be part of the current team is no longer how well I design applications by myself in a short period of time and also not how interesting the UI idea that I gave as a final result. Now it’s more on how carefully I am in designing a screen, how capable I am in making sure that the design I create represents the process of what other team members are doing with the previous customer and more importantly it is my obligation to make sure that the design I make refers to the design pattern that is already created by the company. Using the supplied components and sticking to existing styles. And Yes .. It’s completely a different world. Sounds boring! But the fact is .. I am learning a LOT and I enjoy it! Especially when I got a chance to do a business trip to GE Transportation Headquarters in Chicago not so long ago. I was invited by the office to meet the team, discuss projects, attending a workshop and site visit to one of the railway companies in US. 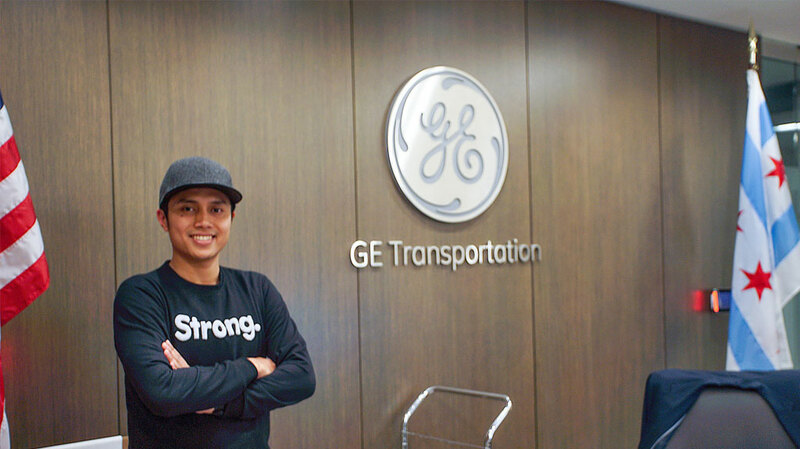 By this post, I will try to share my working experience at GE. The sensation of changing from freelance contract designer to full-time designer and the impression of remote designers who have experience to work in the office with the UX team at one of the top fortune companies. 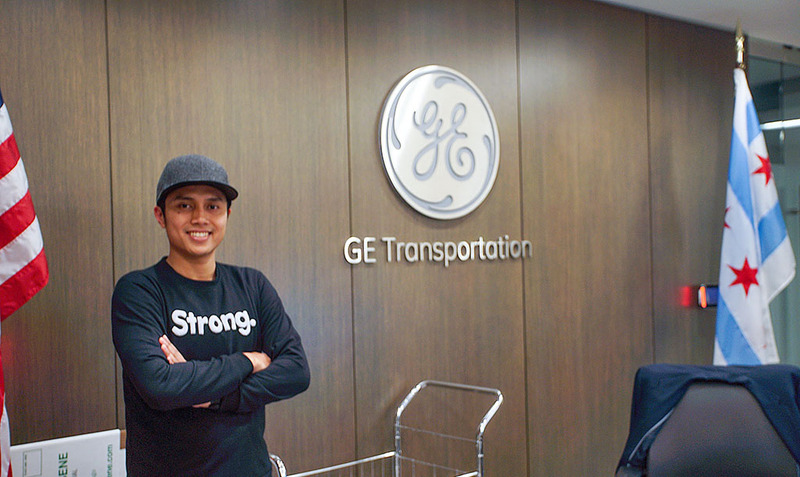 When I was interviewed by GE for the first time and was asked about my traveling hobbies, they said that those who work at GE should like to travel. It was asked from the beginning because for some people, traveling might not be a fun activity and sometimes it’s even felt like a burden when they know that they have to leave their home, especially for a relatively long time. While global companies, like GE, sometimes require their workers to travel frequently because of job demands. My manager also said that as a remote worker, later on, I will be required to do a lot of traveling. I, myself, never thought the design world can take me to travel to various countries. I am very grateful to the previous experience of working for a company that is very caring and has a high appreciation of its team. The first time I was invited by a company to do a trip to the US in 2014 was with Jiffy. It crossed in my mind to “just ask for the money” than to know that the company had to pay 20 million rupiah just for the ticket only. But now, the experience of the company trip to several countries including Paris in 2016 has become one of the things that I am grateful for in accordance to my profession. Not just because of the fun of exploring new places, but it turns out the traveling experience can be a bonus to someone. 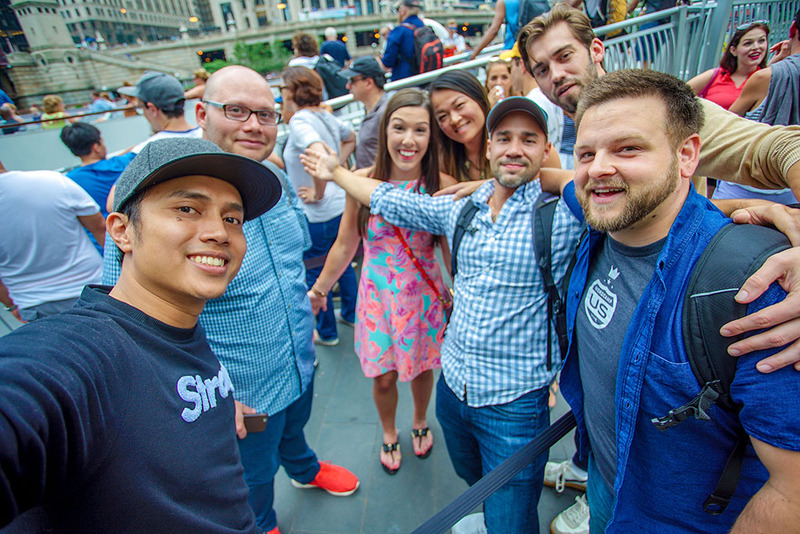 Most of the current team members also love to travel and some of them write down their experience of visiting various countries in their summary. The more a person travels around, it indirectly adds more insight to that person, from different habits, cultures, like for example transportation in different countries with the different systems and the specific characteristics. No wonder many people are willing to save money to travel, not only for recreation but also to learn and seek new experiences which then become added value as an experience in their portfolios. I, myself, have felt many benefits and conveniences thanks to some previous overseas trip experiences. Traveling is not always about expensive and spending a lot of personal money. Traveling is the effect of passion and the courage to challenge ourselves to the search and achievement of new experiences that lead us to new places, people and opportunities even with unexpected ways. Before I joined the team formally, I was curious about the title of the job which I got later. Or in other words what position I would fill in the company. The title of UI / UX designer as in the previous company may not be a given position. Not because the job is unavailable, but on an enterprise scale and in an ideal conditions, each team member usually has a specific job description for each field of expertise. Unlike other startup companies or digital stubs that require people with the ability to be full-stack designers or unconsciously become full-stack designers because of the limited quantity of human resources. Until finally the company posted the job vacancy and told me to apply in the position of IxD (Interaction Designer). And later I knew that the other positions that exist in the company are UX people. Apparently in general, the team is divided into UI and UX. As a person who started as a freelancer, crowdsourcing competitor and remote worker for design agencies and software houses, I got used to do whatever I could as my added value as well as additional contributions for the company. Before I officially got the IxD’s position from the company, I was able to convey my enthusiasm to the company by expressing the ideas on how to maximize my ability in terms of documenting the team’s trip in the form of a photo or video. I’ve always liked to document by record video and photo of anything interesting. 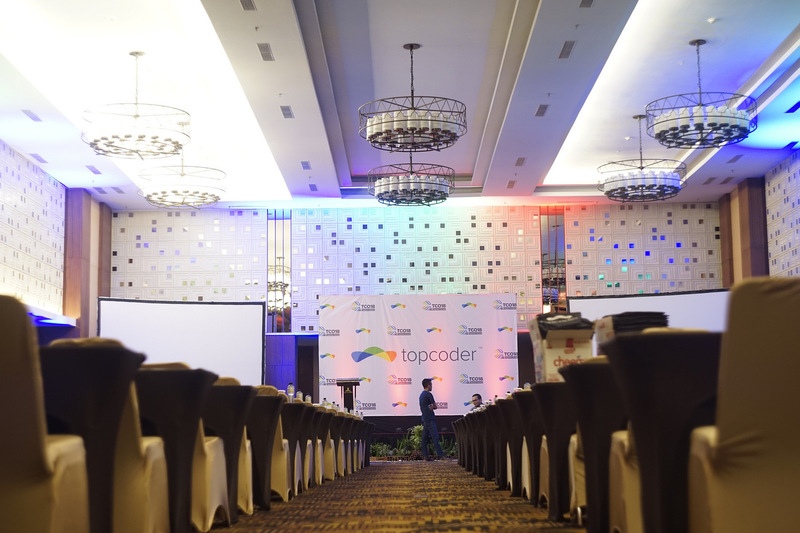 Not only documenting the profile and teammates’ vacation, even when I was a competitor in TCO final event, I also took the time to make a video that up to this time become a marketing materials for Topcoder and GE. When I got a chance to go to Chicago, I delivered my intention to be more productive by producing a video. At first, there was a concern from my teammates because the main focus of my trip was on project updates and a site visit. But finally the manager who knew how I made the video work on TCO, fully supported and assigned me to focus on helping me to produce a video for the team because there was a need for a team profile video. Most of the team members are specialists in their respective fields of expertise. Unlike most of people in my country who tend to be consumptive by following the the trend, buying expensive gear even though they don’t really need it. People in developed countries even first world like the US are used to buying the right gear as needed and focus on the things that support their personal career. So when I carried a bag that contained various kinds of photography/ videography equipment, some of the team members were surprised and speechless by what I do as a hobby. Some even said that I could be a full-time videographer here with this complete gear. 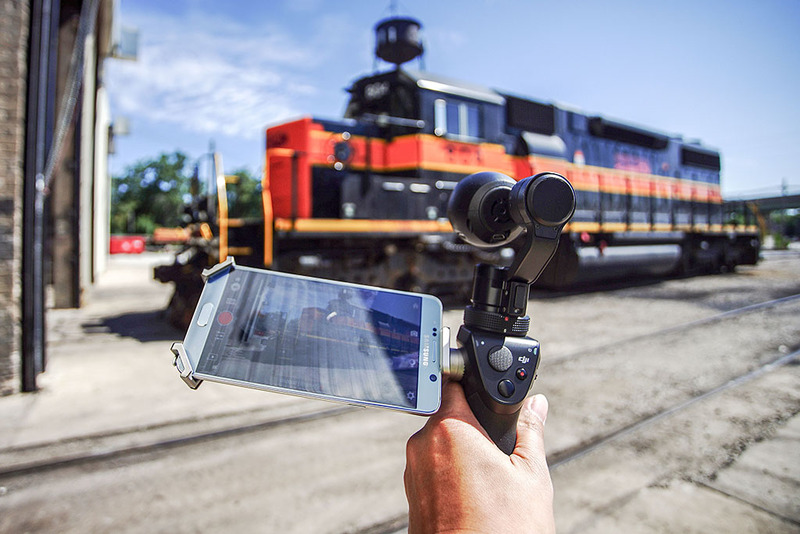 But don’t get me wrong, although the team members are not really familiar with video production, they have a good insight into the world of videography. In fact I was surprised when the team proposed to use teleprompter for interviews. Glossary terms such as B-Roll, voice over, storyboard, lower thirds, timelapse etc. flowed by without many explanation. Focused on being a specialist in one area and enriching insights. Make a career-supporting hobby a serious hobby, which makes the added value.